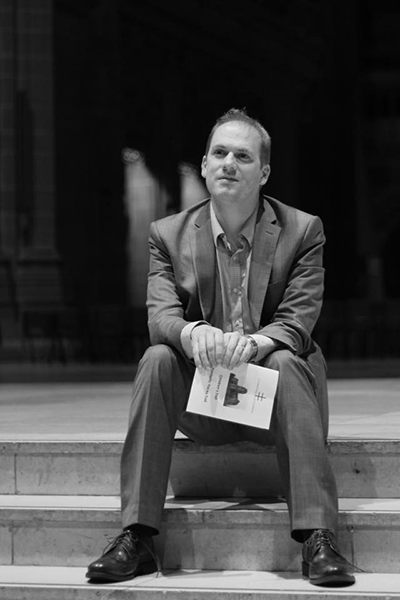 Simon Leach is a prize winning graduate of the Royal Northern College of Music and a former organ scholar at the Liverpool Metropolitan Cathedral. He will be giving several organ concerts in January 2017 with music celebrating the Feast of the Epiphany. The recitals will include pieces by Langlais, Messiaen and Dupré. The highlights of the recitals will be the world premiere of an exciting new composition by Naji Hakim. The prolific Lebanese-born composer is a former organist of the Sacré-Coeur Paris. His Toccata is based on the Epiphany Introit, ‘Ecce advenit dominator Dominus’ and will be premiered on Friday 6th January at the Holy Name Church, Manchester. Simon is the Artistic Director of the international recital series at the Holy Name which houses the fabulous 1871 William Hill instrument. Subsequent performances of the Toccata will be at Westminster, Liverpool Metropolitan and Bangor Cathedrals.